Home / Phcog J, Vol 8, Issue 6, Nov-Dec, 2016 / Comparative Biochemical Studies on Indian Sedges Cyperus scariosus R.Br and Cyperus rotundus L.
Comparative Biochemical Studies on Indian Sedges Cyperus scariosus R.Br and Cyperus rotundus L.
Biomedical Research Laboratory, Department of Biotechnology, K L E F University, Vaddeswaram, Guntur-522502, Andhra Pradesh, INDIA. Background: Cyperus scariosus R.Br and Cyperus rotundus L are well known Indian medicinal plants in ayurveda and herbal industry. These two species are often treated as synonymous to each other, although they grow in different agro climatic conditions. Objective: In the present study, we made an attempt on comparative biochemical studies among these two species by using various spectroscopic, analytical and in silico molecular docking studies. Materials and Methods: Rhizome methanolic extracts of both the species were subjected to GC-MS and elemental analysis to identify the presence of phytochemical constituents and trace elements respectively. Following confirmation, the identified compounds were subjected to molecular docking analysis using anti-inflammatory protein COX-2 as the target receptor. 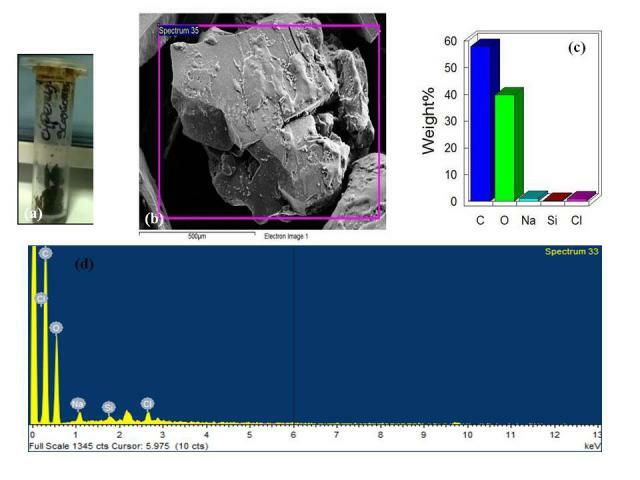 Further these extracts were encapsulated into biodegradable chitosan nanoparticles and they were characterised using SEM and FT-IR analysis. Finally, the antioxidant and anti-inflammatory activity of these extract loaded nanoparticles were evaluated using in vitro assays. Results: Compounds present in both plant extracts form strong hydrogen bond interactions with COX-2. SEM analysis of C. scariosus showed chitosan nanoparticles are spherical in shape. Whereas C. rotundus forms aggregates, although they are well-dispersed in water following lyophilisation. FT-IR analysis showed that both plant extracts have different compounds, which is evident from the wavelength difference and their shift pattern as compared to blank nanoparticles. In spite of the differences, both of the drug encapsulated plant extracts showed good antioxidant and anti-inflammatory properties. Conclusion: C. scariosus and C. rotundus are different, but similar with some of the phytochemical constituents and pharmaceutical values. Kakarla L, Othayoth R, Botlagunta M. Comparative Biochemical Studies on Indian Sedges Cyperus scariosus R.Br and Cyperus rotundus L. Pharmacognosy Journal. 2016;8(6):598-609. EDAX (Energy Dispersive X-ray Analysis) and COX-2 (Cyclooxygenase- 2).